Gay French Riviera: Wanna be on TV? I was recently contacted by a representative of Shiver / ITV Productions London who are looking for people to take part in a show. 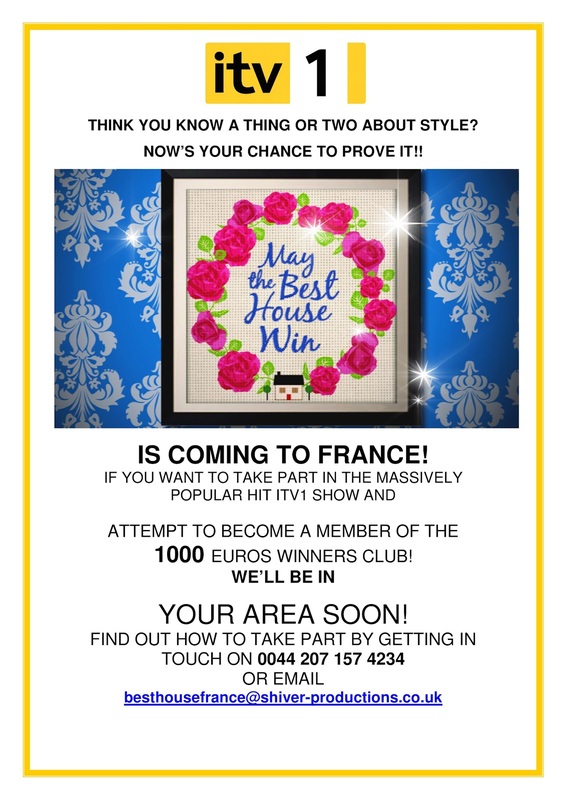 They are currently casting for the fifth series of the hugely popular ITV1 daytime show, ‘May the Best House Win’, this time they will be filming the show in France! The series features interesting homes that have been lovingly created by their owners, real passion projects and properties that are distinctive and express their owners personality, whether it’s people who live in interesting conversions, fascinating period properties, or who have filled their home with fascinating objects or artifacts, or decorated in a particular theme. Anything goes, so long as the homeowners really love their home. In each episode, the show will feature four very different houses in a particular area. The show will ask the homeowners to visit each of the other houses and award them marks out of ten. 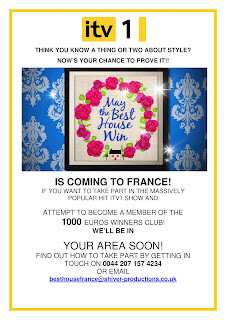 The winning homeowner wins 1000 euros! It’s a fun show designed to bring together people with different tastes and different properties to discuss and debate their own ideas of what makes a home. The production company will be going to the South of France to film in a few weeks’ time. So this is your chance to show off your treasured home in one of the most beautiful regions in France!